Islam teaches the principles of Equality, of Crisis in the Family and dealing with the glitches when creating a plan. 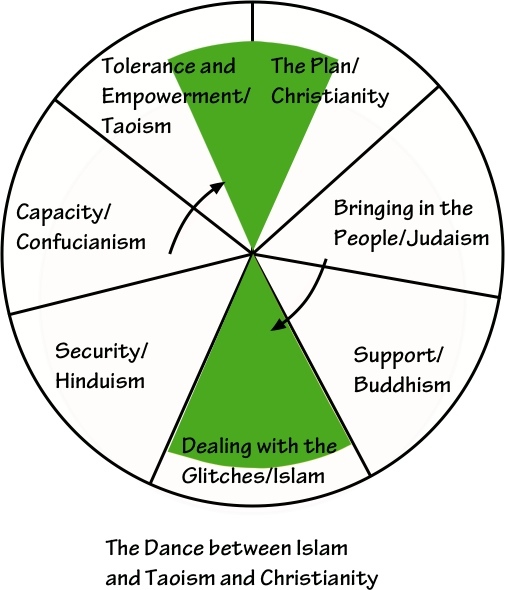 Islam has elements of tolerance and empowerment, and creating a plan that benefits everyone. Muhammad taught how to stand in protest when someone is not standing on the principles. Ramadan is a time for study and introspection. It is a time to set aside the cares of the world and to focus on the spiritual teachings and consider whether you are standing on the principles in your own life. Each of the world's seven major religions also plays a favorite power game. Islam's favorite power game, based on the Seven Deadly Sins, is Anger, which is the root cause of terrorism. People who are denied a voice in matters of grave concern must raise their voice to be heard, oftentimes to the point of violence.